Energy Drink Pros and Cons: Is it Dangerous to be Addicted? The word “addiction” is always a scary word to hear, but I’ll be the first to admit I am addicted to one specific kind of energy drink…but what is in energy drinks? And are energy drinks good or bad? Some would argue energy drinks are dangerous for your health while others would argue no, no chance, they’re perfectly safe. So where do you stand? I’ve looked into the following three energy drinks: Red Bull, Monster and Go Girl and I’ve outlined some positive and negative effects of energy drinks, along with a little background information on each energy drink. I have to give Red Bull credit. 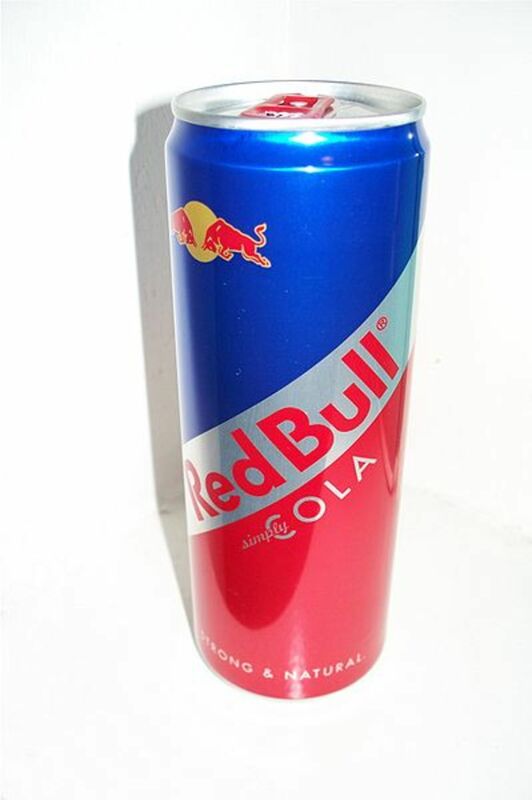 Most people don’t know this, but Red Bull was first developed way back in 1987 by Dietrich Mateschitz, who partnered with Chaleo Yoovidhya in their company called Austrian Red Bull GmbH. 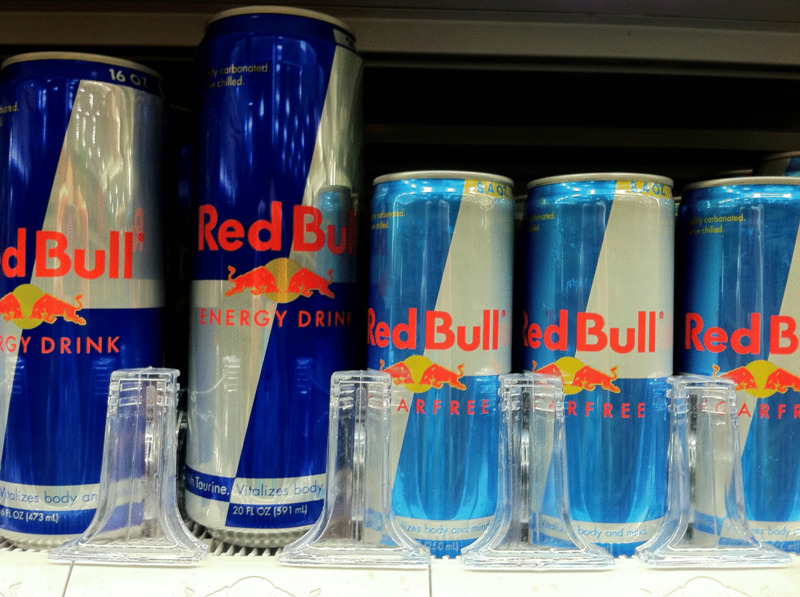 Red Bull is the largest and most popular energy drink provider in the world with 4.5 billion sold annually. Mateschitz is also putting some of his profits to good use, and in 2004, he co-founded a nonprofit called "Wings for Life" with motocross champion, Heinz Kinigadner. Wings for Life is striving to cure spinal cord injuries (paralysis) with a team of researchers. Monster Energy Drink was developed in 2002 by Hansen Natural (Monster Beverage Company). 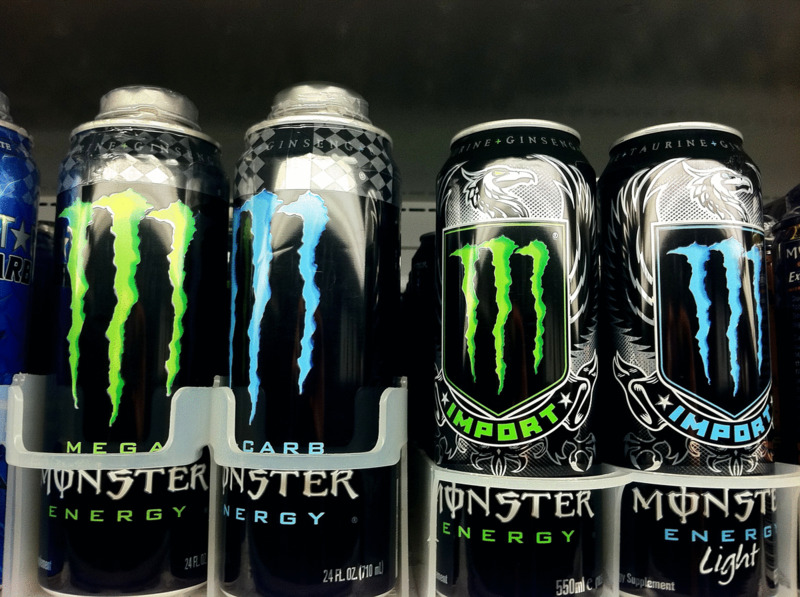 Since developed, Monster Energy has been a known sponsor of several sporting events, such as motocross, car racing, BMX, snowboarding and skateboarding. With their heavy sports involvement, in 2011, Monster developed their "Monster Energy Gives Back" program to give back to local communities and support nonprofit charities as such: The Paul Thatcher Spinal Cord Recovery Foundation and StupidCancer.Org. 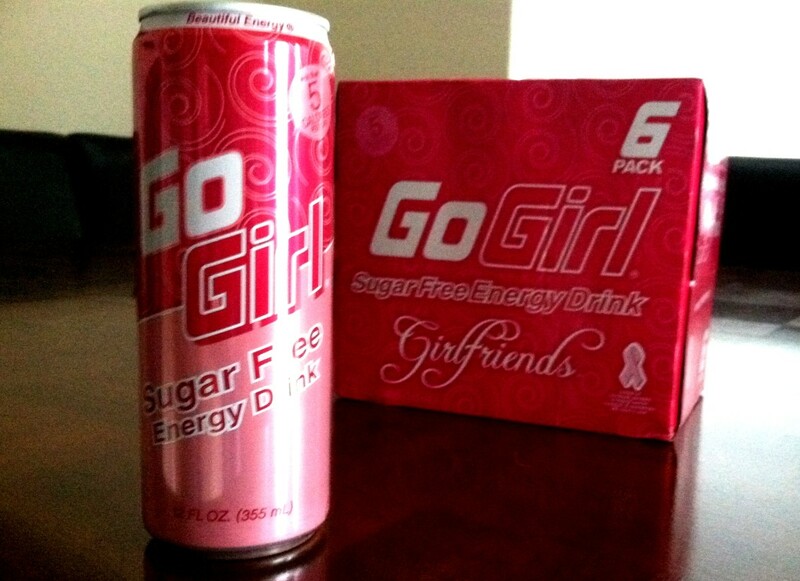 Go Girl Energy Drinks were first developed in 2005 by Nor-Cal Beverage Co., Inc. in W. Sacramento, CA. Targeted solely toward women, Go Girl strives to provide low calorie energy drinks while helping the battle against cancer. Their main energy drink, simply called “Go Girl Sugar Free” is hot pink and marked with the breast cancer pink ribbon and profits of each case sold go directly to breast cancer awareness and research. Their second most popular drink, called “Go Girl Pomegranate Star Fruit” is marked with a blue ribbon and proceeds of each case sold go directly to ovarian cancer awareness and research. 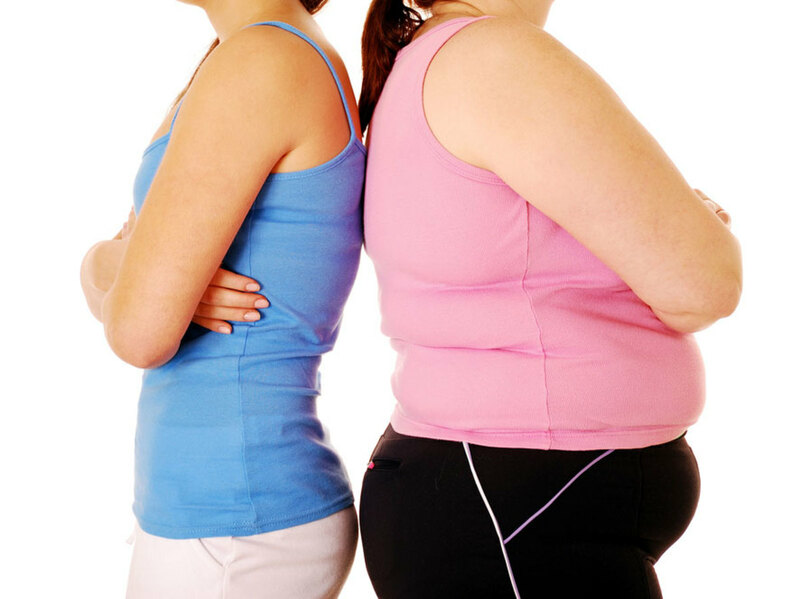 You may have noticed of the three energy drinks discussed, Go Girl has the least serious adverse effects. A large part of this could fall on the fact that it is not globally consumed and is rather limited to a handful of states (unless ordered online), thus supporting information is limited. Of the three drinks, Go Girl is my drink of choice and I choose it often. However, after reviewing these lists, it’s important to keep in mind these lists are not 100% inclusive nor are they 100% scientifically proven on either side of the spectrum. Is there supporting evidence on both sides? Yes, but will you suddenly be able to lift 200 lbs. over your head or get an A on a test without studying? You could, but probably not. Or will you immediately develop a life-threatening illness? You could, but probably not. To argue these pros and cons are indefinite and will happen to anyone who consumes these energy drinks is simply not true and not enough research is available at this time to refute all positive or negative claims. The obvious common denominator in all energy drinks is caffeine and some of the pros and cons analyzed here are linked to the effects (positive and negative) of caffeine intake (great or small). Although the focus is energy drinks, caffeine is an underlining issue here. So I guess in the end, how much caffeine is too much? After researching these energy drinks, I would agree anyone could be at risk if they consume energy drinks excessively (several in one day), and my conclusion is, much with any caffeinated beverage, if consumed, moderation is the key. So where do you stand now? I'll continue to drink energy drinks. I won't drink energy drinks anymore. I'll cut back on energy drinks. I never drank energy drinks in the first place. If you can spare a few minutes in the morning, you can have a fabulous low calorie breakfast that keeps you full and thin. This is truly the breakfast on the go plan for people who just don't have the time. How to lose arm fat with home exercises that do not require any gym equipment. These arm exercises for women are easy and you can tone your arms in pajamas! What Are the Ingredients in Energy Drinks? it helped me with a school projects about energy drinks. I really need to give a second thought, next time I want see any energy drinks lol! these drinks are scary, straight up. Hi Annette, I'm not sure how Sunny Delight relates to energy drinks. This question is probably best suited for your son's doctor. Sorry I can't be more helpful. My son is 16 an started having epilepsy seizures. I would like to know if is ok if he can drink sunny delight. I feel the same about 5 hour energy shots. Haha! Thanks for the comment and for following me! Hi Ashley... great article... I have only had one experience with energy drinks while driving a great distance. All I can say is I would never attempt drinking it again... far to unsettling for my liking. Thank you, Vnsatakopan! I appreciate the comment. Great info! Honestly speaking I tried red bull once, and after that I never touched it. I couldn't even finish that single can. I don't like its taste! Well researched and very informative. This is a very informative and well-written hub. 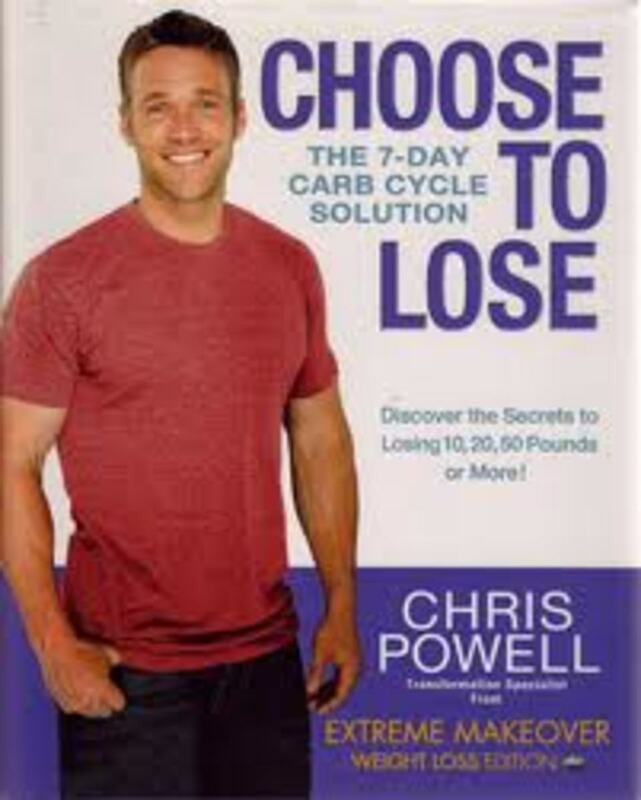 I'm so glad that I read this because I used to drink a red bull regularly after my workouts. It's not like I need anymore energy, I'm pretty energetic already as it is. but I absolutely love the taste. Thanks for sharing! Thumbs up for this hub Ashley. I found it very informative. I'm not a big fan of energy drinks but well, sometimes you will be tempted. Great info, my 2 older nephews and niece drink monster drinks and will complain of headaches, and excitability, but continue to buy them, i wish they would tame their desire for them, but people are going to do what they want until they really can see what may not be so good for them. tweeted! Thanks for the questions. Regardless if you choose to drink coffee or energy drinks or maybe just teas or sodas, caffeine is a very addictive stimulate and should be used in moderation. Hi Ashley! I don't like the sugary carbonated flavor of energy drinks- Im a coffee girl! What is the relation of coffee to energy drinks? Less hazardous? Thanks for the feedback, Onthegrind. I agree, they can be very addictive. I'm still trying to cut back on my Go Girls and as a result, I have been experiencing migraines from caffeine withdrawals. Interesting hub. I believe that these drinks are somewhat addictive. I have gone through periods where I drank far more of these than I probably should have, and usually ended up feeling jittery with an increased heartrate. I drank mostly Full Throttle, Monster, and Rockstar. They all gave a nice boost of concentration and energy though. Voted up and interesting.